Labour will close its vast deficit in the opinion polls under Jeremy Corbyn, one of his leading allies said today. 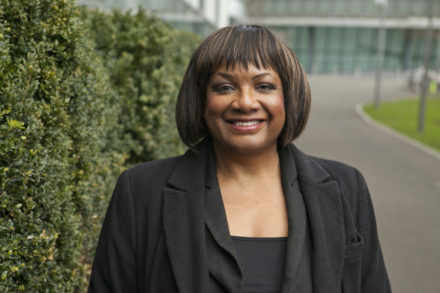 Diane Abbott said the party would bounce back after a series of weak ratings, as well as a slump to fourth place in the Lincolnshire by-election. The shadow home secretary spoke out after a YouGov survey this week put Labour on its lowest level of support since Gordon Brown was prime minister in 2009. Labour was on 25 per cent compared to the Tories on 42 per cent. “I’m confident we can close the gap in the coming 12 months,” Abbott told the BBC. This week Labour fell from second to fourth place in the Sleaford and North Hykeham by-election despite a spirited campaign locally by dustman and GMB activist Jim Clarke and a series of visits from high-profile shadow ministers, as well as Corbyn. Abbott told Nick Robinson – the stand-in host on the Andrew Marr Show – that Labour could not have won in Sleaford, or in Richmond Park, where it came third and lots its deposit the previous week. “There is a limit to what you can extrapolate from by-election results and both of these were ones we could never have expected to win.